Part of the 300-hr Teacher Training Certification in Yin Yoga and Meditation. The Retreat (70hr) is a core module in the 300hr certification. Unplugged and removed from the pressures of daily life, The Retreat offers a unique opportunity to dive deeply into the practice and experience of Yin Yoga and meditation. The Retreat immersion allows students to clarify and know directly in their own experience the transformative potential of these teachings and practices. On Silence: Although The Retreat is a silent retreat, there will be time throughout the schedule for instruction and discussion around one’s practice. Think of the silence as a generalized commitment to quietude which promotes an ongoing investigation of one’s internal and external landscape. Scheduled discussions during the day will help promote that exploration. On Simplicity: The schedule of The Retreat will move between periods of sitting meditation and Yin Yoga practice. Short breaks are also included. But students on retreat are encouraged to step outside of their normal habits of distraction (online, phone, computers, etc.) and cultivate a presence to be with themselves and their experience. The style of meditation emphasized in The Retreat is a Yin approach to Insight Meditation. This approach emphasizes receptivity and interest towards the totality of your experience while meditating. This is a meditative process that cultivates a creative approach to your own path in life. Another feature of this approach to Insight Meditation is that after each meditation there is a period of time to reflectively journal about your experience as a way to further develop understanding and insight into your practice. 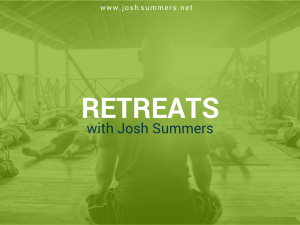 As with all Modules, The Retreat can be taken by anyone with a strong interest to explore their practice of Yin Yoga and meditation within this environment. 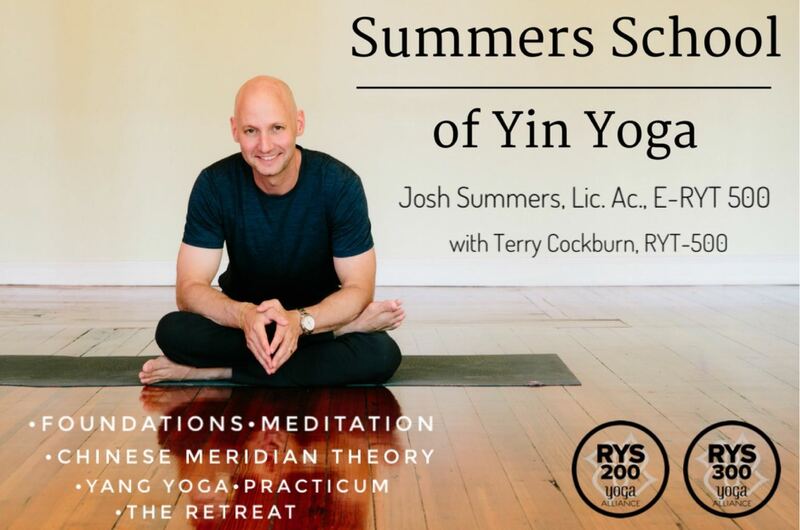 Recommended, but not required, for those enrolled in the Summers School of Yin Yoga that the Mindfulness Module be taken prior to attending The Retreat. For a complete list of upcoming retreats, please see Josh’s Retreats Page. Questions: There’s more about how the program works on the Frequently Asked Questions page, or you can contact Josh here.